Happy December everyone! I’ve got my Christmas Countdown on the wall, my tubs of Christmas ornaments at the ready and I’m just waiting for my family to wake up so we can go get our tree. It was a very, very long night so it may be noon before the first emerges (someone never puts the baby down and getting her to sleep on her own has been getting worse and worse and last night I decided to start fixing it). In October I put up a Halloween Crossword puzzle instead of my usual word search and it seemed to go over well so I’m repeating it now for Christmas. 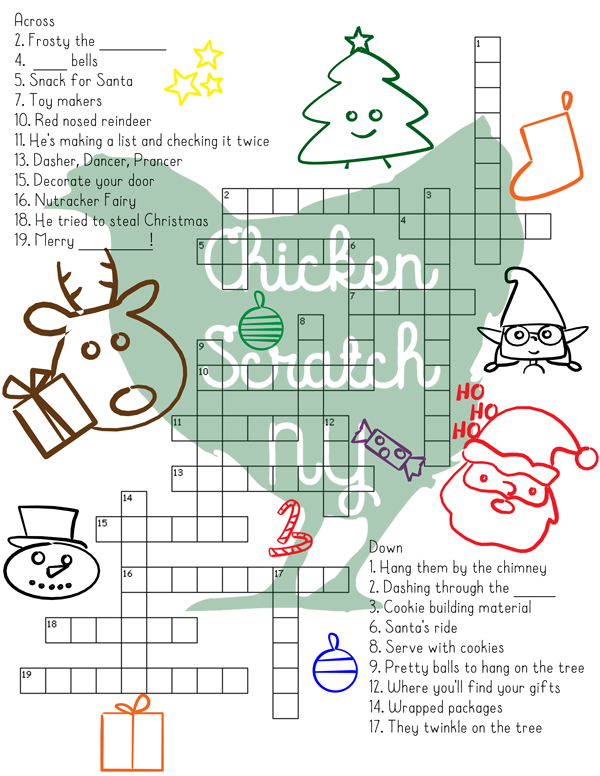 This years puzzle has the bonus of fun Christmas characters that you can color in when you get bored! I’m trying to move to printer/copier friendly decorations because I know a lot of teachers are using these. As always, this crossword puzzle is my own creation. They are available for free, print as many as you need for your family, class, scout troop, etc. I do ask that you don’t sell or profit from my work. Check out my Puzzle Page for three years of word searches! Printed it for my grandchildren. I’m making them a to-do box for Christmas break with some fun activities and this is going in it. Thanks. Oh this is so cute! Perfect for our upcoming Christmas party with the kiddos! We’re always looking for extra activities. Thank you so very much for sharing!!! This is perfect timing! I have a classroom party to plan! This is such a cute idea! I was just wanting to get a few fun printables for my kids to take as some small activity for them to do when we are visiting family who do not have a lot of kids toys. These are awesome, thank you! This is a great crossword puzzle! I liked having little activities for the kids to do before the big day! Thank you. Printing these fro son adn his friends to enjoy while hanging out after school. 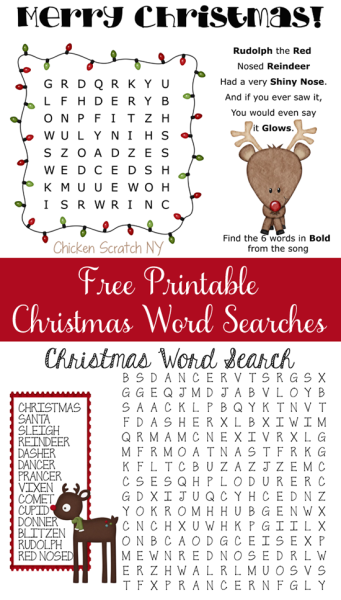 I love the idea of doing Christmas puzzles on Christmas Eve with the family. These are so cute! I need to print them out for my little guy. Thanks for sharing! Love the crossword puzzle! I like having some activities for the kids who come over to our home to visit! I don’t have little ones anymore, so this will help!